HOW DO ATLAS IMBALANCES OCCUR? These issues begin due to a fall, automobile accident, sports injury, poor postural habits and even with difficult births. The severity of your condition and the length of time it has been present will determine the time needed to experience improvement. HOW OFTEN WILL I NEED CARE? Often patients require several treatments within the first month of care. Your response to care will determine the frequency of treatment. WILL THERE BE ANY RESTRICTIONS TO MY ACTIVITIES DURING CARE? It is important to allow your body time to heal, there may be restrictions to follow to achieve the best results. This may last a few days or a couple of weeks. Do no sleep on your stomach. Initially avoid strenuous activity. Do not hold your phone with the side of the head. Avoid using the head/neck to turn in bed. Usually treatments are reimbursed by most insurance. We can confirm your coverage prior to your first visit and determine any cost to you. Medical doctors and neurologists like AO chiropractic because it is not manipulation, it is scientific and every patient has diagnostic imaging with complete physical examination prior to receiving care. 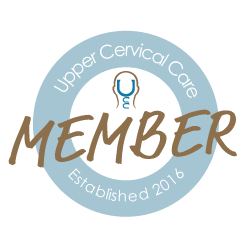 We are a growing body of specialized chiropractors willing to work closely with your doctor or other practitioners, including chiropractors. WHAT CHANGES MIGHT I EXPECT FOLLOWING AO CARE? Symptoms may decrease or pain may move to another area following treatment. This is an indicator that the self-healing process of the body is working.